DESCRIPTION : Step 4. 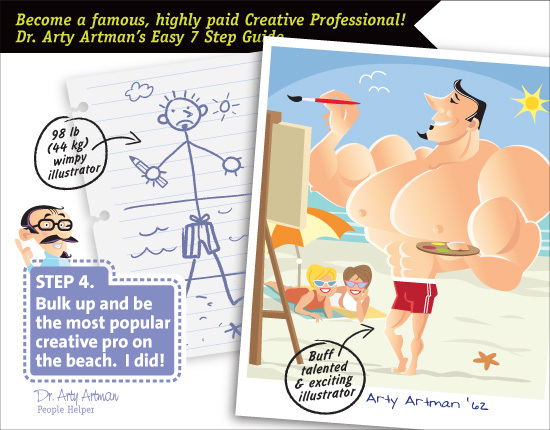 - Dr Arty Artman's 7 Step Guide to illustrator Success! It doesn't take long to get attractive, rippling muscles that will impress even the fussiest client! Imagine the impression you will make walking down the street looking like this. You will have 'FAMOUS, TALENTED ILLUSTRATOR' written all over you, with perfect strangers practically throwing money at your feet. I know... I've been there!